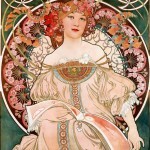 See more of his work on the 5 Ladies on Paper. 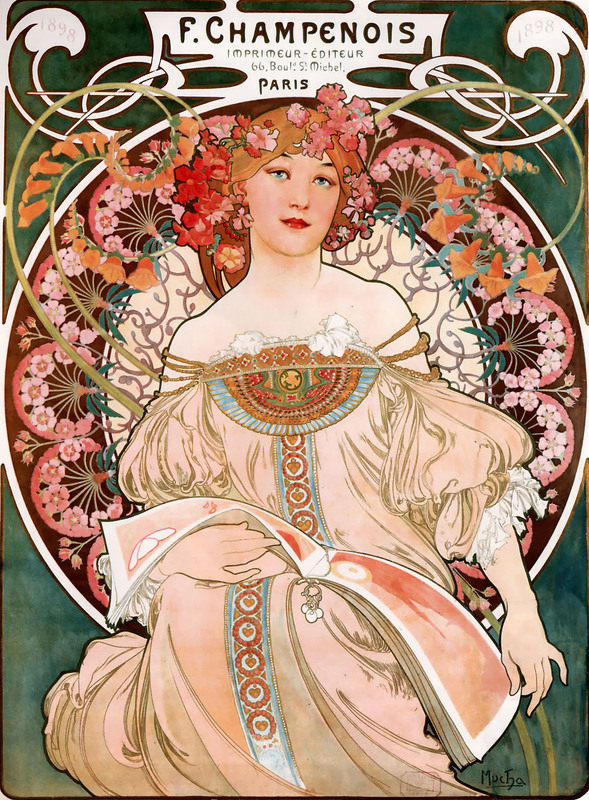 Alphonse Mucha was a Czech Art Nouveau painter and decorative artist, known for his distinctive style. 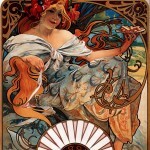 He produced many paintings, illustrations, advertisements, postcards, and designs, iconic of the era. 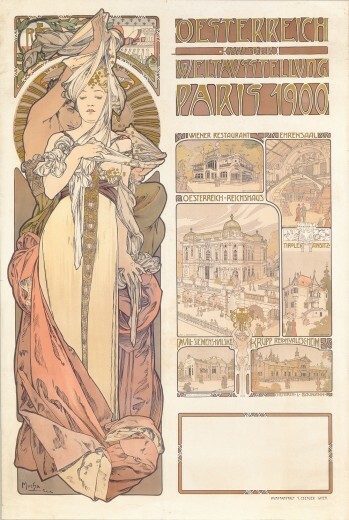 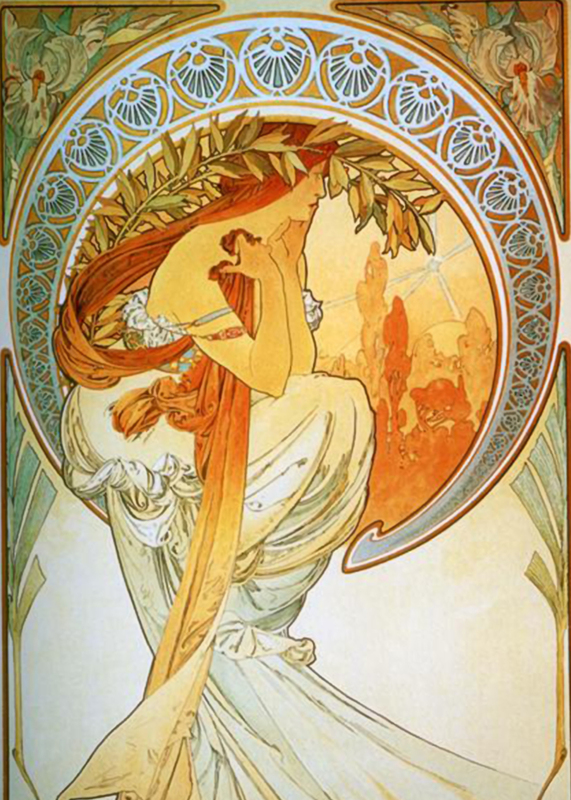 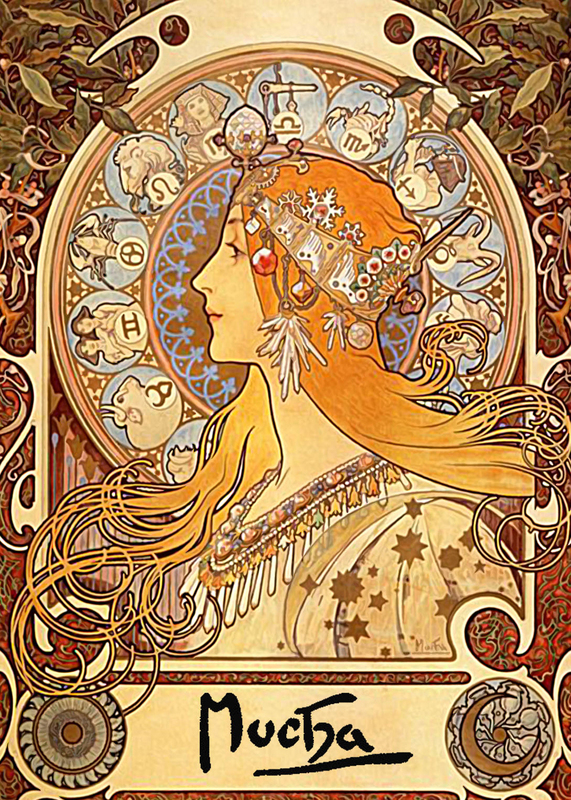 While I can’t agree with his ideology (Mucha was the restorer of Czech Freemasonry), I do love his work. 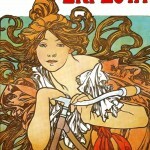 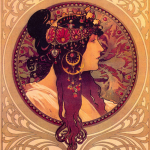 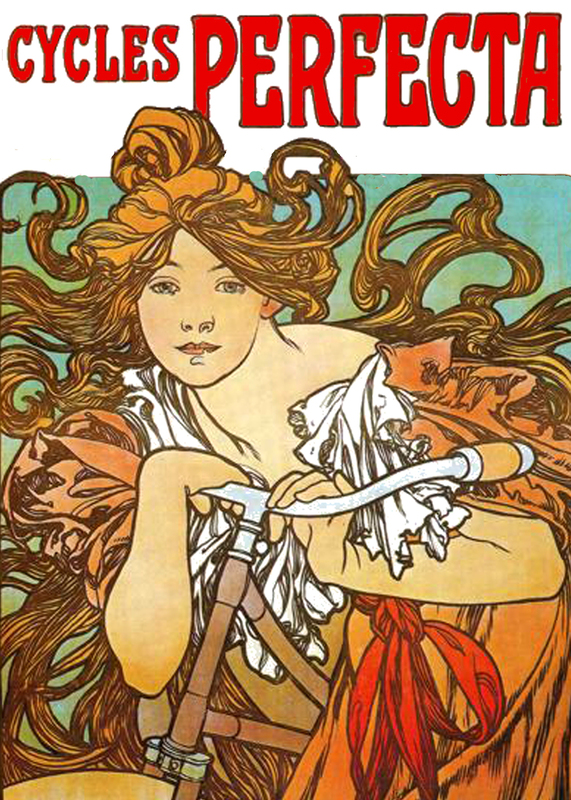 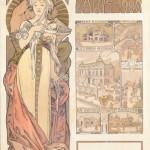 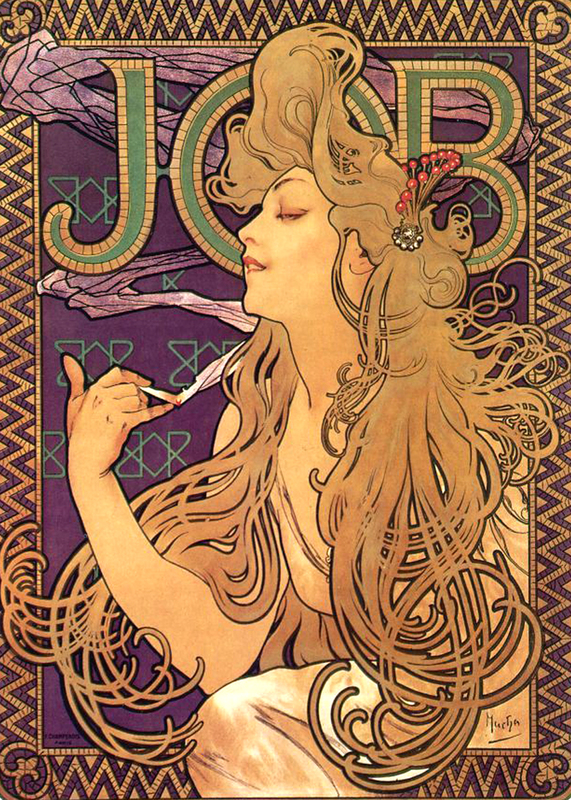 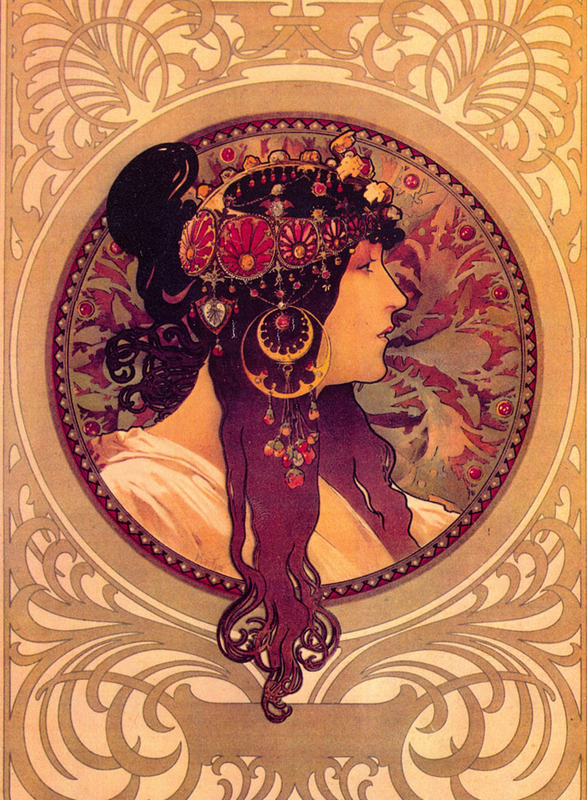 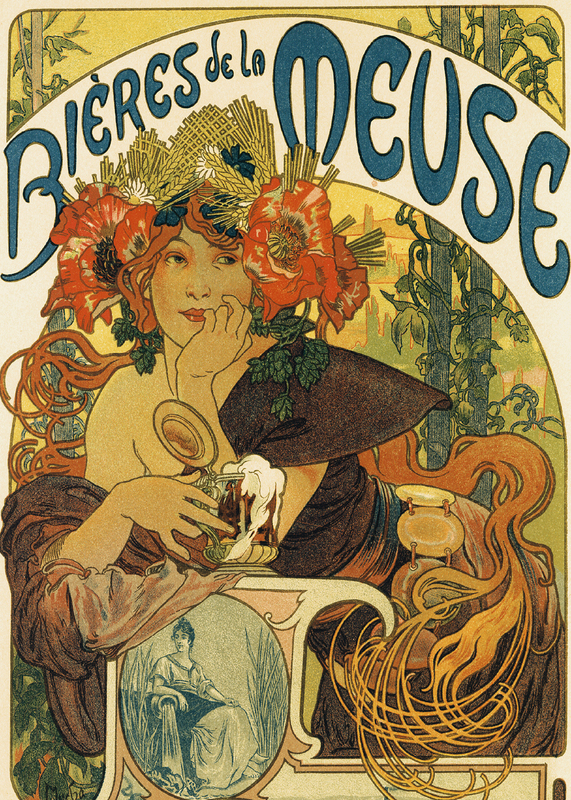 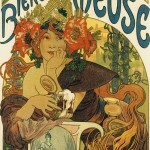 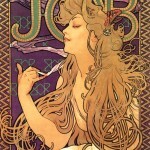 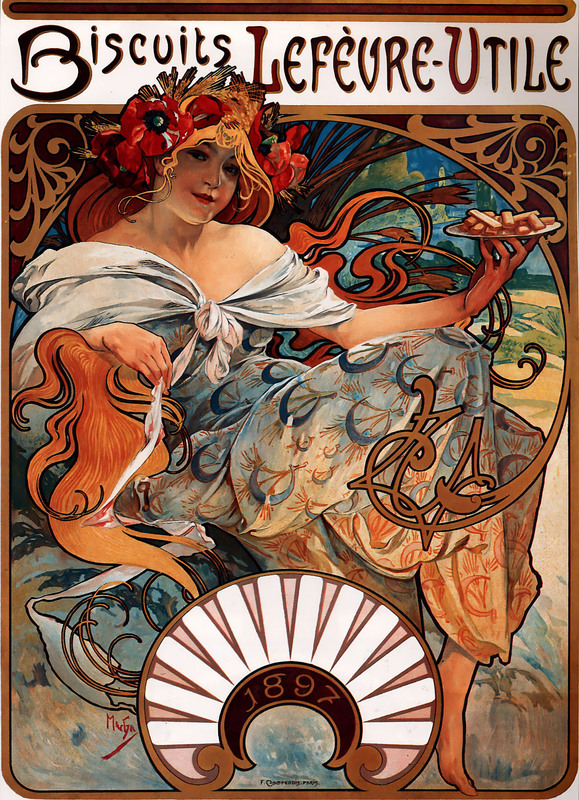 On 1 January 2010, Mucha’s published works went out of copyright and entered the public domain so they are ripe for remixing. 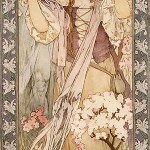 Added a new blog to the links section: The 5 Ladies on Paper. 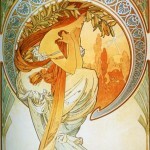 Some glorious art like the picture above by Stanley Borack.